RIVERS OF TIME (THE SCREENPLAY) by Roy Thomas, story by Roy Thomas & Janis Hendler - based on the book by L. Sprague de Camp - cover by Stephen. R. Bissette. US$15.95/GBP 9.99 - 5x8 tpb, 188 p. - ISBN-10: 1-932983-37-6, ISBN-13: 978-1-932983-37-1. 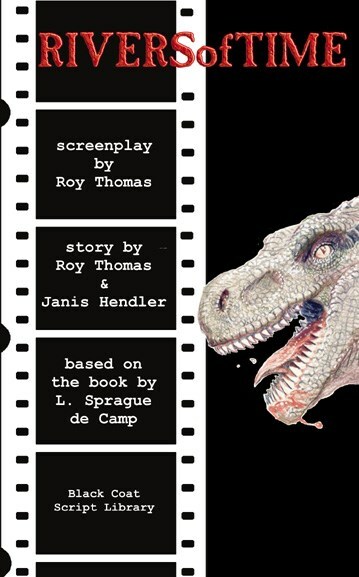 Time travel and fearless dinosaur hunters based on a classic science fiction story.